All things must pass but what caused her to leave on such short notice? Her final show post at Media Roots was titled “Leaving the Set Broken”. That can be taken many different ways. Was it just a coincidence, like the assassination of Martin Luther King one year to the day he gave his famous “Beyond Vietnam” speech, that she left just one year almost to the day she questioned RT based Russia and Putin’s role in the Ukraine invasions? Or did she leave because of newly placed editorial content restrictions by superiors? All she alluded to on her final show was she was leaving because “there is only so much one can do in a studio”. It was obvious from the way RT had to scramble to fill her time slot that her departure was not planned or expected. Was she attempting to report on the coming mandatory vaccinations laws, 25 years of spraying like insects the people of the Earth through Geo-engineering or maybe it she was going to call out Billy for costing Hilary her assured selection as President due to his and Prince Andrew’s association with convicted child abuser, and major campaign fundraiser, Jeffrey Epstein? The artist must always maintain freedom to create and express. 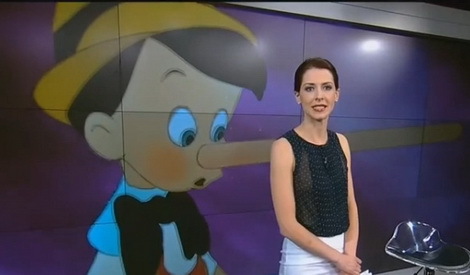 Ms. “thirty-something” Martin directly took on the CIA with her segment titled “CIA Doctors”. She challenged the FBI and their disingenuous investigation of the domestic production of the Anthrax used directly after 9/11. She took on the largest private mercenary army in the world on her segment, “Blackwater’s Most Guilty”. She called out the 25 years of training dictators in torture for Latin America at what was formerly known as the School of the America’s aka School of the Assassins, at Fort Bennings, Georgia. She held studio interviews with former NSA Veterans disclosing the agencies history of illegal spying on all U.S. citizens. She called out Congress for their amoral and immoral insider stock trading on bills they were about to pass and the secret societal gatherings at Bohemian Grove as well as her heartfelt outrage that President Obama, on his orders alone, assassinated Americans overseas by drone attacks. Additionally she covered topics no other corporate sponsored TV media would touch, including episodes on animal cruelty and torture by corporations for product testing and the deafening silence of nuclear death from Fukushima and the worlds ever-growing nuclear waste problems. She went after the Drug Pushers of Big Pharma with shows “Bayer Infects Thousands With HIV” and “Drugging the Elderly”. And who can forget the instant classic calling out of Nestle’s stealing of water from the aquifers of Vancouver, B.C. on a show entitled, “Wet Greed”, where she orally expropriated her distaste for Nestle’s malfeasance by puking its bottled water onto the studio floor. She bluntly called out the GMO king with “How Monsanto Runs Washington”. She labeled Walmart an “Economic Deathstar”. She and her team produced well researched gross misconduct exposure pieces on McDonald’s and Chiquita Brands as well as calling out the corporate greed behemoth banksters with names of Goldman Sachs, Citibank and HSBC. Boldly, she reported on Israeli’s continued huge influence and overt bias in American domestic and foreign policies as well as their continued annihilation of the defenseless Palestinians. And what other TV anchor could, and did, report about the mysterious death of fellow investigative journalist, Michael Hastings, and speculate about whether or not a private contractor could have been involved? On more than one show she wore a black dress while giving credibility and voice to the 9/11 truth movement. Many of us who have impatiently waited some 13 years for any news organization to even mention conspiracy and 9/11 in the same breath were impressed. Once you hear, you cannot unhear. On her shows were many of the rock stars of the Truth Movement today: John Perkins, Chris Hedges, Naomi Wolf, Ron Paul, Dennis Kucinich, Medea Benjamin, Jeremy Scahill, Greg Palast, Glen Greenwald, Joe Rogan, Adam Kokesh as well as on one of her last interviews with CIA whistleblower, John Kiriakou in a sobering aptly titled show, “Wake Up, You’re Next!”. Her tearing up on TV while reporting on the unexpected loss of a great truth warrior last year, Michael Ruppert, was powerful, heartfelt and genuine. Many, including myself, cried right along with her. She also invited on guests speaking freely on other forms of group organizing other than a capitalist government system with presenters who were Anarchists, Liberalists, Socialists and Communists. She gave voice to, as well as ably represented, the Gen-Xer’s and Millennial generations. Equally, she gave hope and fresh air to my gen, the Baby Doomer’s, who cynically never thought we would live to see the day that such consciousness raising, truth-telling would ever be broadcast in our lifetimes. Breaking the Set went to Guantanamo Bay and kept alive, as well as reminding us all, the real-time, ongoing confinement of uncharged men still being senselessly tortured today by our government, even though President Obama promised to close it down several years back while the mainstream media feigns amnesia once again. She physically went to Detroit to show the tragedy and plight of the growing lower classes. Onto the Pine Wood Indian Reservation she traveled to highlight the continued decades long injustice to our Native Americans in her two-part series, “Bringing Hope to Despair”. One of my favorite of all her segments was when she called out all the most recent Presidents of the United States in her segment entitled, “Five Ways To Spot a Liar”, where she brilliantly used their own words to show that when their lips moved, they were usually lying to us all. You had me at F***, Abby! Abby Martin and the team from Breaking the Set say goodbye during the final episode last week. It is more than likely that we will never be allowed by network TV to see a show like Breaking the Set on world-wide television again. Whether it be broadcast from bosses in Moscow, Russia or Moscow, Idaho. Maybe RT (formerly Russia Today) decided enough was enough. Maybe it was just time for the brave, courageous lioness herself to leave. The artists paints and then moves on. she will be back somewhere. cant keep a hottie like that down. She was probably against their brutal and unlawful occupation of Gaza, like most people. Breaking the set was one of the best shows of all time. 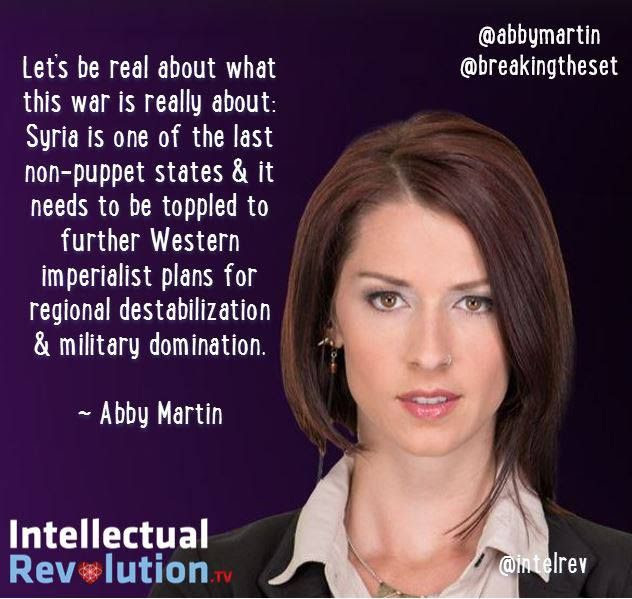 Abby Martin is sorely missed. I agree and amazes me how she went out with such nary a mention by Alt Media.. she was a friggin’ torch in a lovely presentation. thanx for commenting.